In the long-empty storefront at 5009 North Clark, where the ill-fated Himalayan restaurant Ne:Wa was supposed to open a couple years ago, it looks like a new tenant has leased the space. 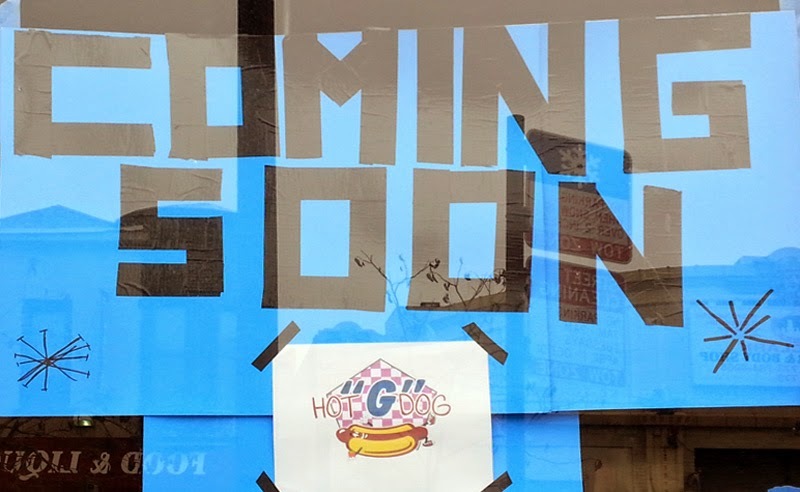 According to a couple signs in the window, it will be home to "G" Hot Dogs. We searched for a business license or building permit and came up empty. If you know more, please put it in the comments. 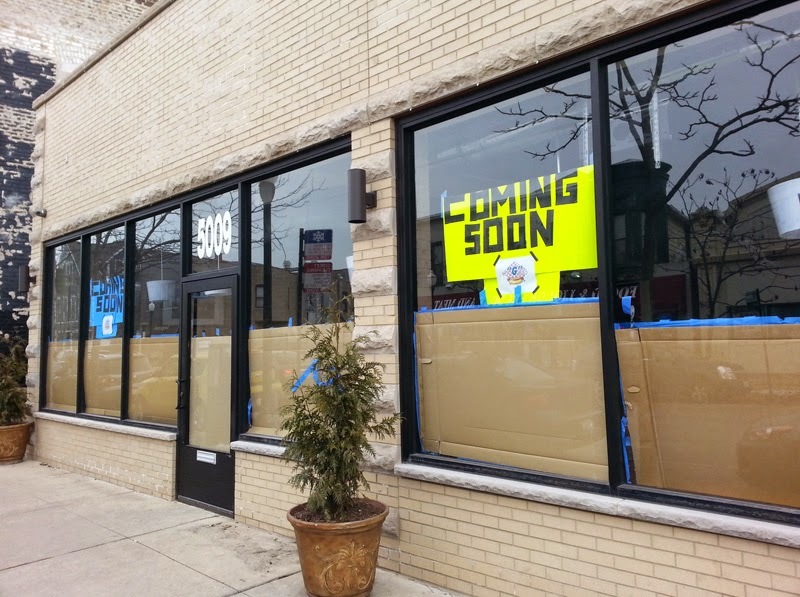 Meanwhile, next door at 5001 North Clark, the former Pie Hole Pizza Joint location, it's starting to look like a medical marijuana dispensary will be able to open there. A license for a dispensary was awarded to The Cannabis Group, LLC by Gov. Rauner in early February, and later that month the city's Zoning Board approved The Cannabis Group's application for a Special Use Permit for that location. Stay tuned. All marijuana sold at Illinois dispensaries must be grown at licensed Illinois cultivation centers. Since those licenses were issued only a month ago, the cultivation centers are now presumably being built. To maintain their licenses, they must produce salable marijuana within six months. Even if it all goes smoothly, we probably won't see dispensary doors open until July.